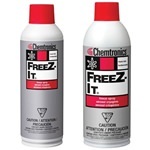 Chemtronics® line of freeze Spray is exceptionally pure, nonflammable, and provides instantaneous freezing action while leaving no residue. 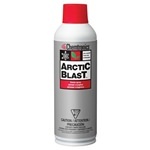 Conveniently packaged and designed for either pinpoint or full board application, these non-reactive circuit refrigerants evaporate instantly while cooling targeted areas. 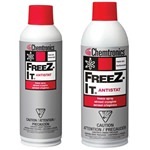 Chemtronics® line of Freeze Spray is available in regular, antistatic formulations for use on static-sensitive components, and wide spray formulations to cool a large area immediately.